If you want your jam to be sugar-free, raw, rich in EFA’S, dietary fibre, full of antioxidants, essential vitamins and minerals, this is the recipe for you. Perfect on a slice of bread, mixed in with natural yoghurt or as topping on morning breakfast bowl. It is super healthy, naturally sweet and nourishes you from inside out. My mum used to make a tea out of it together with cinnamon and honey, perfect in winter when I get a cold because goji berries are high in vitamin C and boost your immune system. This amazing fruit has all essential amino acids, high concentration of protein, great for vegetarians. On top of that, it is naturally anti-inflammatory, anti-bacterial and anti-fungal. So eat more of these guys! Soak goji berries for an hour. 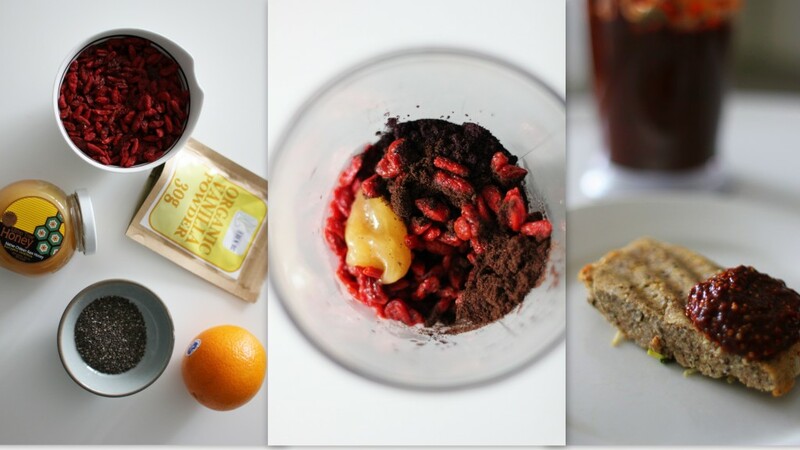 Place soaked goji berries, chia seeds, honey, vanilla powder, zest and juice from orange in a food processor. Blend until you get a jam consistency. Taste and adjust sweetness. Transfer to a glass jar and keep refrigerated. 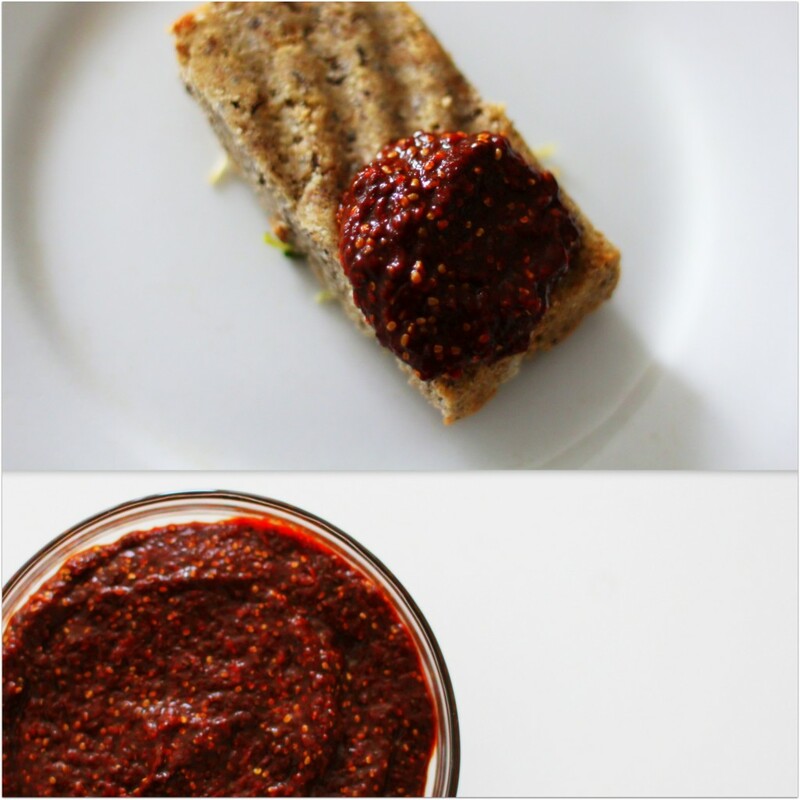 If you don’t like a taste of goji berries, you can add blue berries or raspberries into this.